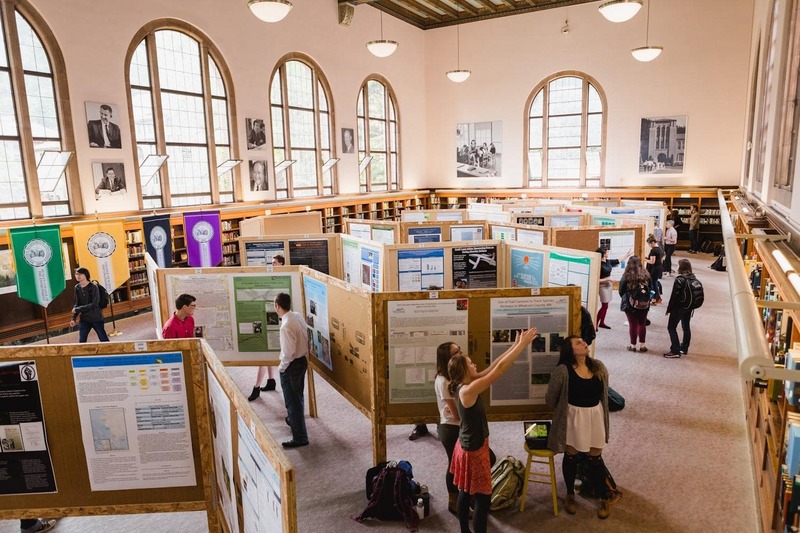 Scholars Week, a celebration of undergraduate scholarly research, is held each May to highlight the importance of undergraduate research and creative activity at Western Washington University. Scholars Week 2018 was May 14th through May 18th. During this week, Western celebrated the work and collaboration of students with faculty mentors. All departments and programs in Western's colleges are encouraged to stage or create events demonstrating their students' research or creative activities during Scholars Week. On May 15th at 7:00 PM in the Performing Arts Center Concert Hall the Scholars Week Keynote Speaker Dr. David Figlio, the Orrington Lunt Professor and Dean of the School of Education and Social Policy at Northwestern University, will give a public talk on "How Early Life Conditions Affect People's Life Chances". There are a wide variety of events held, including department sponsored speakers, research symposiums and presentations, and the Undergraduate Scholars Poster Sessions. Donations to Scholars Week will support the cost of the awards given to the Undergraduate Scholars Poster Session competition winners as well as various Scholars Week activities as needed.